John Burns in the former Dyson House Listening Room in September 2018. The Dyson House Listening Room, which sold its Jefferson Highway property late last year, will officially live on in Baton Rouge at a new venue—Zeeland Street Market. 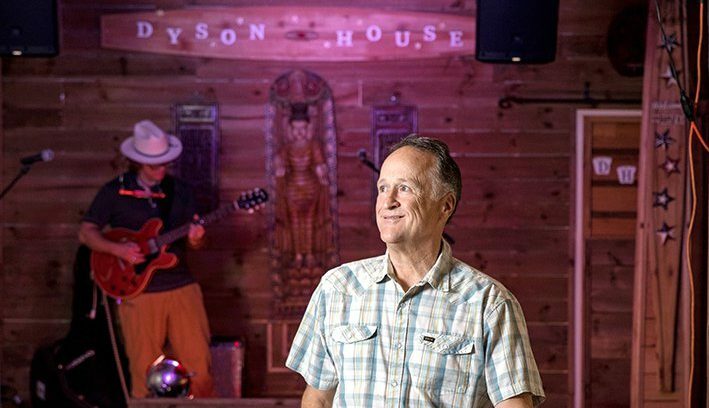 Burns, who had been searching for a new location for his live-music venue, says he was approached by his friend Haden Phares about moving to Zeeland Street, a local restaurant near the Perkins Road Overpass, which Phares and his ex-wife Stephanie Phares started. Stephanie Phares, who now owns and operates Zeeland Street, which serves breakfast and lunch, agreed to the idea. The former Dyson House property sold for $1.5 million in December to new owner Kristopher Klar, who plans to develop a new shopping center in its place. The new opportunity to partner with Zeeland Street will help offset costs for Dyson House, as compared to owning its own building, Phares says.